One of the benefits of having a huge service department is data collection. We will be in approximately 100-130 homes today fixing appliances with a good portion being less than a year old and under warranty. That is 650 homes per week (at least) or roughly 34,000 calls yearly not including homes with multiple calls. So the question is, what are we fixing the least? From March 1, 2012 to August 1,2012, we measured sales versus warranty calls in the same period. It’s not a perfect measurement, but it allows us to see trends. We picked March 1, because it coincides with the installation of our new software system. The new software allows us to run reports routinely. Before you look: We dont “scrub” the data, so there is no distinction between a minor and major issue. Although it is consistent for every manufacturer actual real problems would be lower by roughly 1-2%. The more difficult brands to install would be weighted to the higher percentage. The industry average for appliance service is roughly 18-24% within the first year. Why: Thermador could have been the most repaired manufacturer before 2000. Bosch has really streamlined their production to their credit. Why: We really just sell Whirlpool laundry, which is their strong suit and should have a low rate of repair. It would be interesting to see how solid the rest of their line is. Why: Electrolux invested in new factories in the 1990s and it has payed dividends for this underrated line. I placed them ahead of Whirlpool, because their 5 year average of repair is equal and their mix of products are more varied. Note to Electrolux: You may want to consider moving your own production to these facilities. Why: Its a microwave! What COULD go wrong in one of these. Sharp has been laser focused on this category since the 1960s. It shows. Why: Miele is the most vertically integrated company in this industry. Nearly every (96%) component is manufactured in their German plant. They don’t even outsource their warehousing. When you control the design, engineering and manufacturing, you build a better machine. Their 5 year average is only 5.9%, which is unbelievable. Along with Frigidaire, Miele is the clear winner in terms of lack of service and product integrity. We are factory authorized for 2 companies you listed Miele and Frigidaire/Electrolux. We rarely service a broken Miele appliance the majority are customers that don’t follow the manufacturers instructions or customers using to much soap in their dishwashers. Frigidaire we see very few, but Electrolux we are being inundated with calls in warranty and out of warranty. The Pittsburgh area used to have about 20 servicers doing their service,but now we are down to Sears A & E us and 1 other servicer. Their products are way over enginered and most tech’s are clueless on diagnosing them and fixing them. We are getting so many calls we are turning down 3/4 of them and we still are doing 20% of our calls on Electrolux appliances in and out of warranty. We also are factory authorized for 10 other companies that we don’t have the same problems. I hope my feed back helps. We are factory authorized for 3 of the appliances you listed. We don’t sell appliances. I agree with your findings on Miele and would like to add that most of the calls on Miele are customers using to much soap or not following proper cleaning procedures. Thermadore we rarely see but when we do it is usually on the cooktops. Frigidaire we see very rarely, but Electrolux is overwelming our service staff under warranty and out of warranty. In Pittsburgh we used to have over 20 factory authorized companies doing their service, we are down to Sears, A & E, 1other and us. We turn down 3/4 of the calls dispatched to us and we are still doing 20% of our calls for Electrolux. Their appliances are over engineered and most tech’s can’t diagnose them, but lucky for me I have 2 tech’s who can. Electrolux is currently dealing with 2 large class action suits against them for their refrigerators. We are currently ready to drop them, first because of the very low pay from Electrolux and lack of sufficient tech support. They are the least dependable appliances we have ever serviced in my 28 years of servicing appliances. I hope this helps. If you hire reliable appliance service then you will get more benefit because they offers repair to most brands of top-load Washers, Gas and electrical Dryers, gas and electrical Ranges, what’s additional as Refrigerators and Freezers. 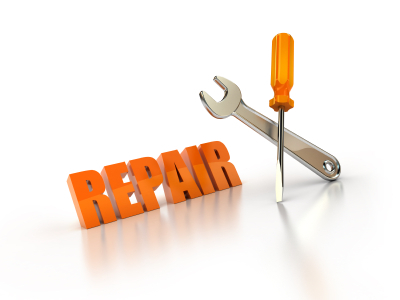 an occasional one-time charge covers all labor and journeys needed to repair your appliance.